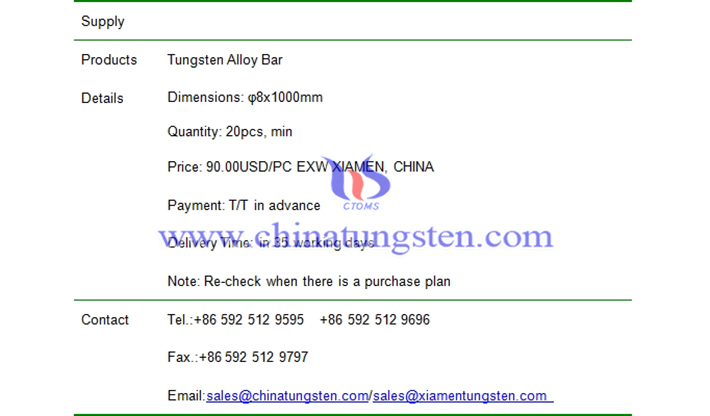 φ8x1000mm tungsten alloy bar price is 90.00USD/PC on Apr. 8, 2019. 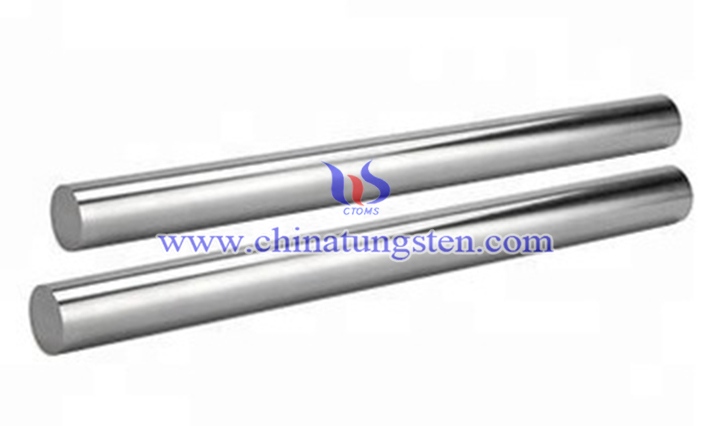 The composition of the bar is 90WNIFE with density of about 17.0g/cm3. Tungsten alloys which contain elements such as nickel, copper and iron, produce a host of alloys which have engineering properties similar to steel, are relatively easy to machine, and can be plated or painted to enhance their corrosion protection. These alloys are approximately 50% denser than lead resulting in a higher concentration of mass in a limited area.